WELS school leaders are more than administrators; they are educators and educational visionaries. 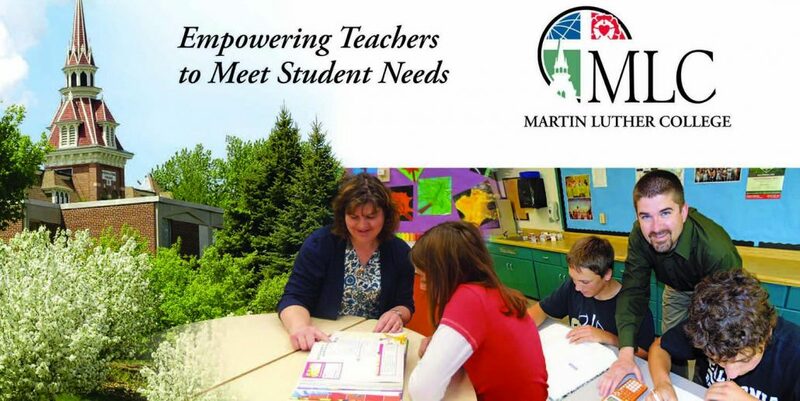 They foster Christ-centered cultures, create sustainable budgets, market their schools, lead school boards, develop curricula, supervise teachers, assess student learning, and teach. By God’s grace, MLC’s Master of Science in Educational Administration will help educators take their leadership to the next level and enable their schools to effectively serve more students. The Master of Science in Educational Administration meets both the National Policy Board for Educational Administration’s Professional Standards for Educational Leaders (formerly known as the ISLLC Standards) and the Wisconsin Evangelical Lutheran Synod Principal and Early Childhood Director Standards. Candidates who successfully complete this program of study will be fully prepared for Lutheran school administration at the early childhood, elementary, or high school level. Early Childhood Director: the skills and understandings needed to lead an early childhood program. Principal: the skills and understandings needed to lead an elementary or high school. Successful completion of 36 credits that includes either a 3‐ or 6‐credit capstone project or a 6‐credit internship. Internships are required for teachers preparing to be a principal or early childhood director.